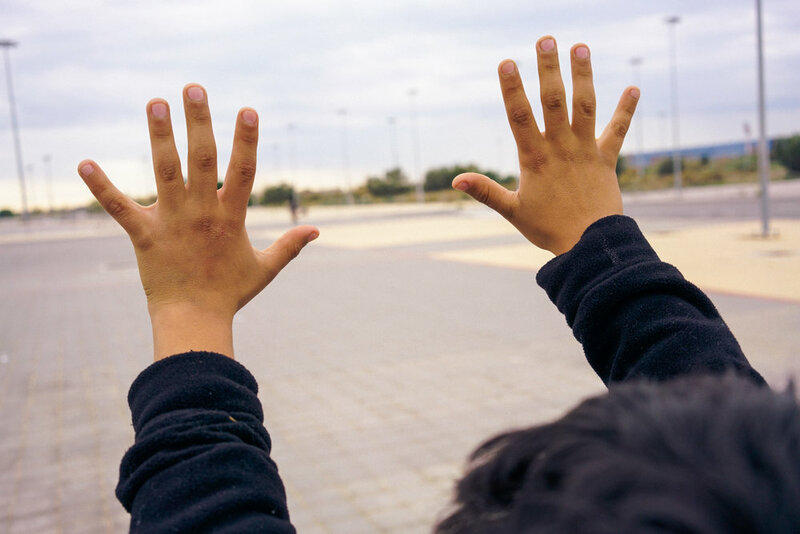 In December 2016, Elliniko Camp, an abandoned airport in Athens, was home to refugee children and their families who fled from Afghanistan and Iran. 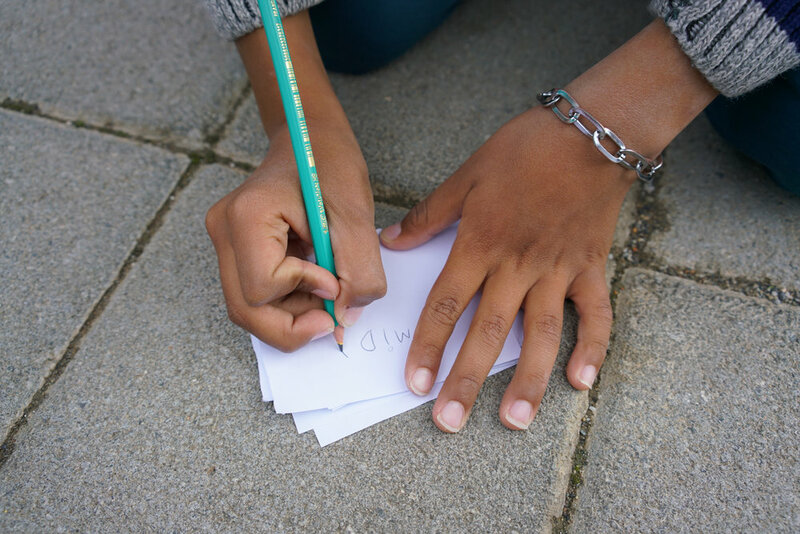 While the children's dreams are on hold, their lives continue as they learn Greek and play games with the staff of Faros, a local NGO. 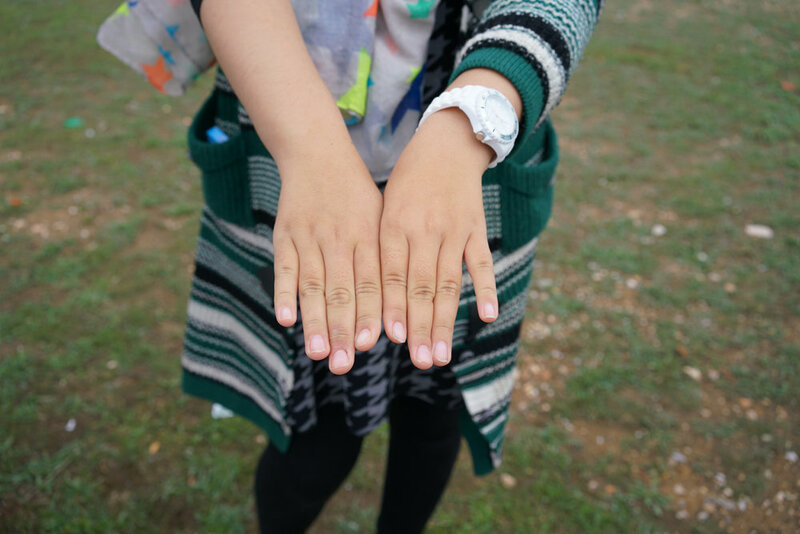 18 of the children agreed to be interviewed and have their hands photographed, alongside the Faros staff (names marked with a star*) who they see every day. Ali is very smart, he has a talent for languages, when he came he only knew a few words (of Greek) and now he understands so much, he is almost fluent and you have to be careful what you say in front of him! He can be very naughty, but if you tell him he is being naughty he won't get upset, and if he does get upset, he'll be over it in one minute. Favourite part of camp: I don’t like anything in camp, I only want to leave. But I like Phaedra* and Mariana*, they are very good. And I like to watch TV. Favourite sport: My favourite sport is school, especially reading and writing. Favourite part of camp: Phaedra* is my favourite thing at camp because every time I need it she lifts my spirits. The sports facilities at the old Elliniko airport complex was converted into a camp for refugees. Athens, Greece. 12/2016. Favourite part of camp: Games with the other children, painting flowers, and playing guitar. Johanna*, Nikki*, Mariana*, Phaedra* – all the people. Favourite part of camp: Phaedra*, Simona*, Johanna*, and Nikki*. Playing with dolls. Favourite part of camp: Simona* and Phaedra*, but I like Maria* best because she’s very good and she plays with me. I like school, especially Dari and English. Razia is smart and very intuitive, and far ahead of her age, she notices everything even when she doesn’t seem to be listening. Favourite part of camp: The volunteers from Faros, friends in the camp, and fixing motors. Simona* and Martina*, they are family and I want to learn from them. Favourite part of camp: I love Simona*, but I don’t want to say why. Wants to be: A teacher of not very small or very big children, but ones in the middle. Favourite part of camp: Johanna*, and I want to play football with her now! Favourite part of camp: I want to leave the camp. But I love Simona*, she is beautiful and has a nice personality and is kind. 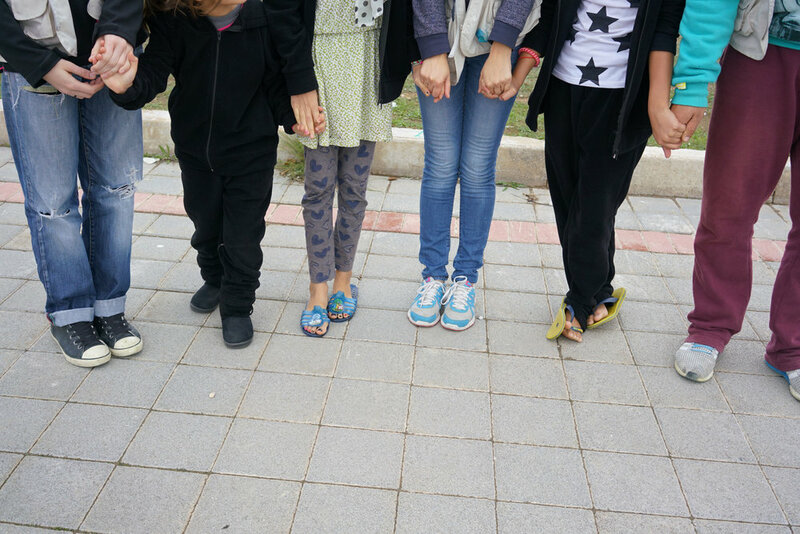 Young refugee girls with Faros staff at the Elliniko Refugee Camp. December 2016. Favourite part of camp: I like Simona*, Phaedra*, Maria*, and Johanna*. They play every day and I am happy. Favourite part of camp: Playing and I want to go and play now. Favourite part of camp: Johanna* - especially playing football, she plays well. Favourite part of camp: Johanna*, I like her personality and she plays good football and games. Moslem’s a very sweet boy and kind and quiet and he has a beautiful smile. He would play football all day long. Favourite sport: I don’t like dancing, only school. Hands of children Ali, Hamid, and Faros volunteers Johanna & Ali. To give to the work of Faros taking care of vulnerable children CLICK HERE. This story was made thanks to the generosity of donors. To support the publication of more stories like these CLICK HERE.